Am just archiving stuff here that appeared elsewhere over the last few months. I should stress a couple of things to begin with. Before I did this test drive I had *never* driven a sports car. In fact I’d never even been a passenger in a sports car, so when it comes to a ‘professional’ opinion here you’re talking to an entheusiastic amateur. If you do end up driving the new Toyota GT86, the first thing you should be prepared for is to be the centre of attention. All the time. You think I might be used to that given the job I do, but, to be honest, I try to keep a very low profile when I’m not in work. When I drove this I was very much out of my comfort zone. I’m not making it up when I say that a man stopped his car in traffic, rolled down the window and took a picture of the GT86. Another guy walked across the street behind it, stopped and stooped down low as if he were checking out the arse of someone he found particularly attractive. It was even scoped out by a guy in a MASERATI. It’s ogled by many. All the time. It’s comfy, swift and maneuverable, has all the latest gadgety bits inside (see what I meant about not being a professional here?) and was extremely hard to give back at the end of the drive. You could easily see a less scrupulous version of me filling the tank and disappearing over the border to Mexico (or whatever our equivalent would be…. getting the ferry and driving to Belgium, or whatever). 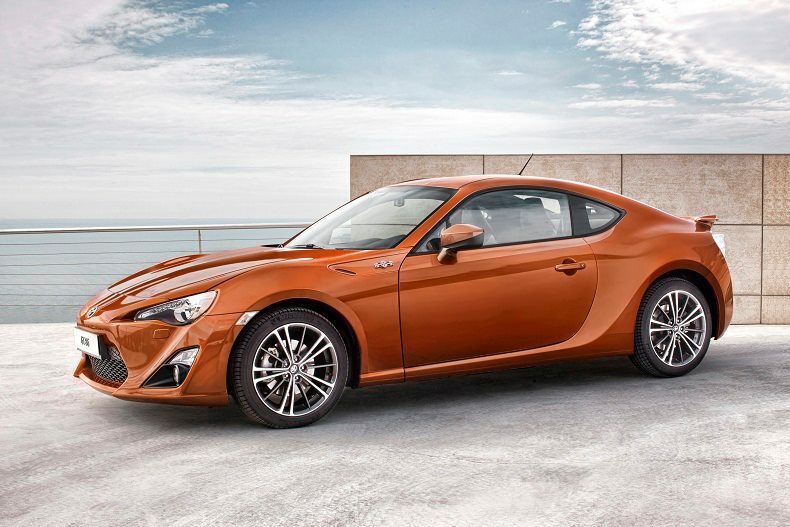 The only downside to the GT86 is, of course, that it’s fantasy football really. Buying one would set you back around 40 grand, therefore I have no more chance of owning one than of getting to fly on one of the Virgin Galactic flights into low earth orbit.